Welcome to Eagles Baseball home on the web! 6 Baseball fielding drills you can do in your driveway! Video Description: Hours. of. fun. That's what I think of when I think about a pitch-back net. When I was young, we had a very, very small yard, but I was able to practice baseball for hours in that yard because of my little pitch-back net. Fast-forward to today, 15 years into my career as a professional player, and I still love it. Today I was in my driveway with the Rukket.com rebounder throwing, fielding short hops, double play turns, fly balls... you name it! It's available here: http://amzn.to/2f6OTl9 and you'll get 10% off with this code " 1insider " In my driveway. This thing is amazing. More rebounder drills coming soon (the few ideas in this video just scratched the surface). So the first thing I wanted to cover today is a couple of receiving drills for catchers at any age… whether you’re a 5-year-old just picking up the game or the things that I do in Major League spring training. So what we’re going to do for this catching drill is to take off the glove for now, and we’re going to work on bare hand catching drills. Catching the ball with just these 3 fingers. Then we’re going to progress, take it up a notch as you get bigger and stronger. The progress below goes from beginner to advanced. That’s not to say that you should skip the beginning steps if you are an advanced baseball catcher already. They make a great warm-up if you do a few and then move to the next step. Everyone loves offense, but pitching and defense win games. These pro tips for how to field a baseball will help you win games. This is Part 1 of How to Field a Baseball. Don’t miss part 2, which is proper mechanics for fielding a ground ball. Many smooth fielders look like they have soft hands, but it is actually their feet that allow their hands to work so freely. In other words, FOOTWORK COUNTS! Another MUST for fielding ground balls is to take your glove hand and push the heel of your wrist toward the baseball (see pictures below). A good drill that incorporates proper glove position and moving your feet. Start with your arm and glove exactly how you want to field the baseball. Now when a ground ball is hit, move your feet ONLY and don’t move your hand or glove. Use your feet to get the baseball. Preset your glove and field with your feet. If you can get good at this drill you will make fielding a lot easier. 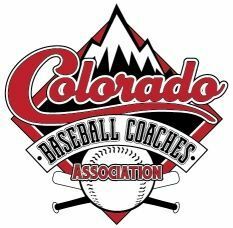 Arapahoe Youth League has teamed up with the Colorado Baseball Coaches Association (CBCA)! The Colorado Baseball Coaches Association was formed in 2012 as a community of individuals of all ages who are here to promote the sport of baseball in the state of Colorado. All levels of competition including recreation, competitive, league, tournaments, high school and college baseball are part of the association. * A single online source of baseball, who is, where is, ect. * League & tournament postings and more info. * Ask and umpire (Have a rule question, ask our Umpire). * High school and College info available. Eagles Youth Sports has provided quality baseball at the highest level for over 50 Years. The Eagles are focused on teaching teamwork, sportsmanship and leadership in a physical education program that is fun and promotes a lifelong love of the game of Baseball! We offer competitive play for all levels of talent from ages 6 years of age to 14. The Eagles are one of nine member clubs of the Arapahoe Youth League (AYL) and serve boys and girls in the Denver metro area. Check back often for news and updates with regards to youth baseball in the Denver metro area. Here, you'll be able to get news, information, schedules, game results, directions and much more. Check back frequently for the latest information about our club.